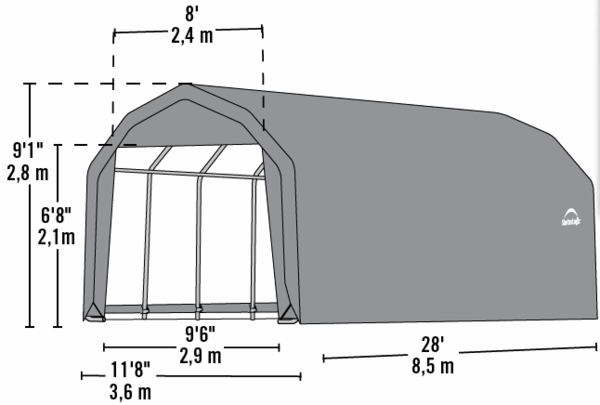 This Barn Style garage canopy shelter will help protect your vehicles or sports equipment by providing a canopy roof over them. 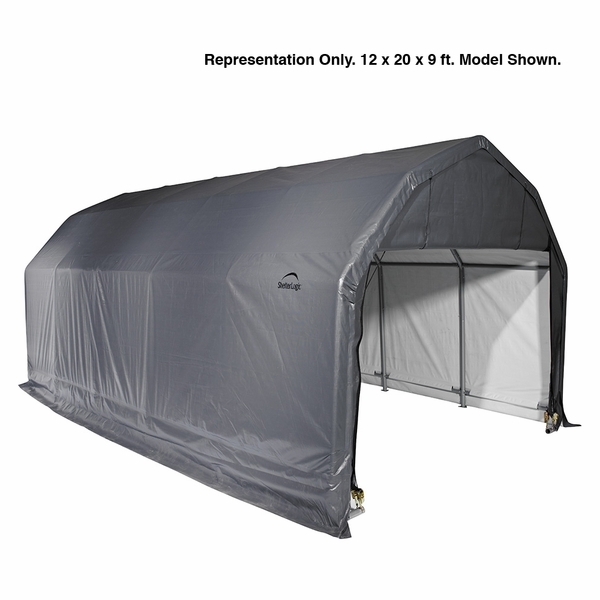 This canopy shelter measures 12 ft. x 28 ft. x 9 ft. and is durable because of its four leg construction of sturdy beam welded steel that goes through a rigorous 13 step Rhino Shield preparation process and is bonded with a DuPont thermoset baked-on finish to resist chipping, weathering, and peeling. Made with the patented Twist-Tite technology, the tensioning system is secure and taut ensuring a longer shelter life.